I get really excited when I discover a new skin care line that I really love! SKINUE is a nature based skincare line that specializes in anti-aging and acne fighting products suitable for all skin types. 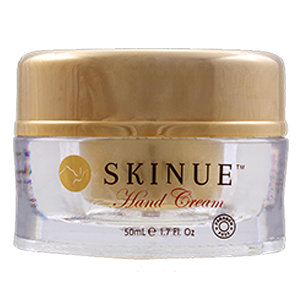 What makes SKINUE so amazing is the use of Camel's Milk in their products that cleanses, moisturizes, and beautifies the skin. I received samples of some of SKINUE's best products. I have listed my very favorites below. 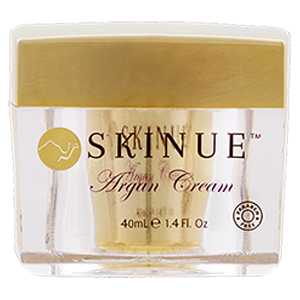 SKINUE Argan Cream does wonders for your skin! Argan oil, extracted from the unique Moraccan Argania Spinosa tree, has been used for centuries by Berber women to protect their skin from the burning North African sun. Our intensely hydrating and nourishing best skin care cream evens skin tone and provides replenishing moisture for soft, smooth skin, leaving it looking younger than ever. Think of it as food for your skin! I love to use it at night after my shower on my face,neck and dry areas all over my body. It makes my skin feel amazing! 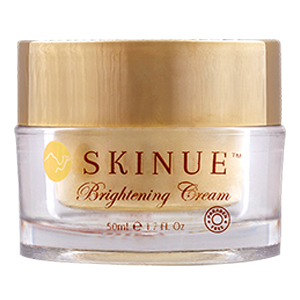 SKINUE Brightening Cream is the solution for a beautiful, even skin tone. It aids in fighting hyper-pigmentation, age spots, and stretch marks. This unique formula combines ingredients that leave your skin feeling soft and looking more beautiful than ever! With daily application, along with our other skincare products, this Brightening Cream moisturizes and lightens your complexion. It is formulated with extracts of pomegranate, licorice, lactic acid, and camel milk proteins. Our Brightening Cream helps lighten dark spots and achieve gorgeous skin. I have a dark spot on the side of my face. I have been applying this cream to it every night for almost two weeks and I can hardly see the dark spot now. This oil-rich foot cream is the solution to rough, dry feet! This cream nourishes and intensely moisturizes cracked, dry skin. The secret is a unique combination of almond oil, camel whey, and other natural ingredients which protect and moisturize your feet. You will be amazed at how soft and smooth your feet will feel! I love this cream! I slather it on after my shower before bed, and put on a pair of socks. By morning my feet are so heavenly soft and smooth. I'm definitely ready for flip-flop season! This hand cream is a must when it comes to your daily hand and nail care! This cream's natural ingredients will leave your hands soft and healthy. The secret is a unique combination of Aloe Vera extracts and camel whey, which protect and intensely moisturize your hands. Ahhhh, pure bliss for my hands! I apply this right before going to bed at night and also all throughout the day after washing my hands. It really seals the moisture into my skin and makes my hands look younger than ever! SKINUE Massage Gel eases the discomfort of sore, achy muscles! For serious sports, routine work-outs, and everyday activities, this Massage Gel is the answer! It combines a powerful combination of botanicals that strengthen your skin, making you feel energized. The non-greasy, fast-absorbing formula glides on the skin with ease and is perfect for adults or children. The Massage Gel's relaxing properties make it ideal for massage therapy! My husband loves it when I use this amazing massage gel on his sore achy shoulders after a long day at work. (He installs heavy equipment all day.) He feels so relaxed and his muscles always feel so much better after a massage. (I am getting really good at it!) I like the way it feels on my hands, too. It really absorbs well and is not sticky or greasy. This Dry Skin Moisturizer cures dry, rough elbows, hands, and feet! Your search for the best skin care ends here. This lipid-rich cream is specially formulated to moisturize dry skin and replenish rough, cracked, or scaly skin. It contains Aloe Vera and Henna extracts which moisturize and nourish skin leaving it soft, fresh, and radiant looking. I love using this rich, silky cream on my elbows and knees to soften them because they often get quite dry. They become absolutely baby soft! The best part, besides the dramatic effect of SKINUE products, is the affordable price. Right now SKINUE is offering 40% off any orders of $100 or more!